Gayle Homes Martin started her career as a graphic designer. 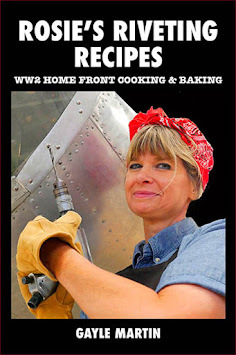 She began writing in 2005 when she self-published her first book, Anna’s Kitchen: a Compilation of WWII Ration Recipes That You Can Create in Your Kitchen Today. This was followed in 2006 by Gunfight at the O.K. Corral: Luke and Jenny Visit Tombstone, the first book in her award-winning Luke and Jenny series of historical novels for young readers. In 2011, Gayle began writing romance novels under the name Marina Martindale, and founded her own publishing company, Good Oak Press, LLC. Gayle currently resides in Tucson, Arizona, and in her spare time she enjoys traveling, photography and music. 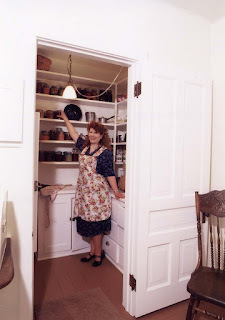 Rosie's Riveting Recipes is based on my historic cookbook. It includes recipes from the book, along with many of my own. If you like old-fashioned home cooking, just like Grandma used to make, you've come to the right place. And if you've tried some of these recipes and liked them, please be sure to let us know. Available on Amazon and Barnes&Noble. An Easter Chapter from "The Letter"